It is utterly baffling - inconceivable, really - that a major New York Times report revealing the identity of the Central Intelligence Agency's new chief of Iran operations makes absolutely no mention of the CIA-led coup that overthrew Iranian Prime Minister Mohammad Mossadegh in August 1953. The article, posted online on June 2 and appearing in print the following day, also contains no reference whatsoever to the agency's subsequent decades-long support for the Shah of Iran, including its leading role in creating SAVAK, the Shah's oppressive and violent secret police force. Notorious CIA official Michael D’Andrea, who ran the CIA's murderous drone program and has been dubbed The Undertaker, Dark Prince, and Ayatollah Mike by colleagues, is now in charge of the agency's Iran operations, reports The New York Times. The appointment "is one of a number of moves inside the spy agency that signal a more muscular approach to covert operations under the leadership of Mike Pompeo," the article notes. The Times scoop is rife with tidbits about the CIA's new Iran chief's vicious aggression, surly demeanor, and eagerness to use violence, as well as the well-established anti-Iran fever running through the whole U.S. administration. And while the report does note that "Iran has been one of the hardest targets for the C.I.A." 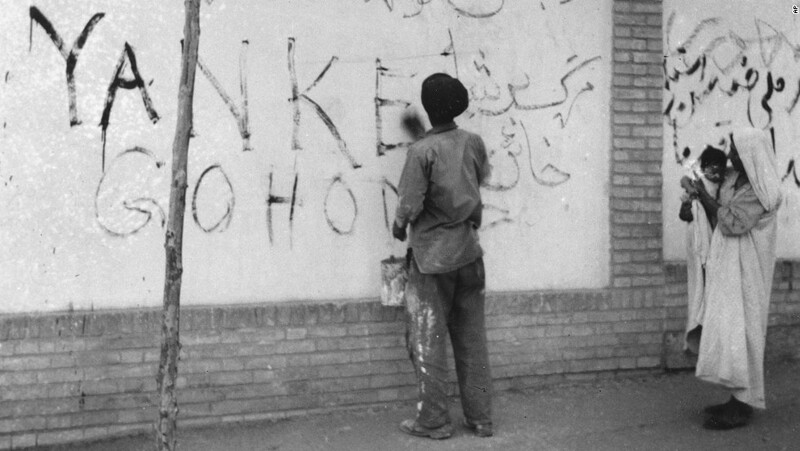 because "[t]he agency has extremely limited access to the country — no American embassy is open to provide diplomatic cover — and Iran's intelligence services have spent nearly four decades trying to counter American espionage and covert operations," its authors Matthew Rosenberg and Adam Goldman omit the single most critical and resounding event in the CIA's history with Iran: the 1953 overthrow of Mossadegh. The coup, a pivotal event of the Cold War, was the agency's first successful regime change operation and set in motion a chain of consequences that still reverberate to this day. That this essential fact was kept from readers by the paper of record is nothing short of surreal. Such an omission is especially dumbfounding considering it was The New York Times itself that revealed key details of the coup, when journalist James Risen obtained a classified CIA history of the operation, dubbed TP-AJAX, in 2000. 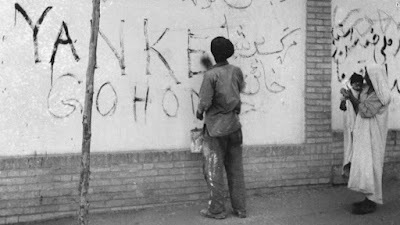 "The history," wrote Risen, "says agency officers orchestrating the Iran coup worked directly with royalist Iranian military officers, handpicked the prime minister's replacement, sent a stream of envoys to bolster the shah's courage, directed a campaign of bombings by Iranians posing as members of the Communist Party, and planted articles and editorial cartoons in newspapers." He adds, "Two days after the coup, the history discloses, agency officials funneled $5 million to Iran to help the government they had installed consolidate power." While CIA culpability for the overthrow was widely known in Iran and elsewhere for decades, "many specifics have remained classified, and the secret history obtained by The New York Times is the first detailed government account of the coup to be made public," Risen noted. It is additionally galling that the 1953 coup is ignored in the latest Times article considering the report's inclusion of statements made by US officials regarding the renewed policy of stoking regime change in Iran. The article notes, for instance, that "Ezra Cohen-Watnick, the [National Security] council’s senior director for intelligence — the main White House liaison to intelligence agencies — has told other administration officials that he wants to use American spies to help oust the Iranian government, according to multiple defense and intelligence officials." Beyond this, and also left out of the article, are CIA chief Mike Pompeo's own regime change dreams, which he himself articulated last summer, before stepping into Langley's head office this year. “Congress must act to change Iranian behavior, and, ultimately, the Iranian regime,” then-Congressman Pompeo demanded in an op-ed for Fox News. Before that, Pompeo displayed an inhuman penchant for violence in place of diplomacy when he told a reporter roundtable in 2014, in the midst of ongoing multilateral nuclear negotiations, that bombing Iran wasn't too big a deal. "﻿In an unclassified setting," he said, "it is under 2,000 sorties to destroy the Iranian nuclear capacity. This is not an insurmountable task for the coalition forces." Who would join such a "coalition" was left unsaid. The day the Joint Comprehensive Plan of Action (JCPOA), otherwise known as the Iran deal, was signed in 2015, Representative Pompeo declared, absurdly, that Iran "is intent on the destruction of our country," and insisted that the deal was "not foreign policy; it’s surrender." For The New York Times to leave all of this out of its report is an egregious abdication of journalistic responsibility. Without proper context and details, readers unfamiliar with the history of American clandestine actions in Iran (which, it's fair to say, is the overwhelming majority of them) are left to wonder exactly why, since 1979, "Iran has been one of the hardest targets for the C.I.A.," and how come it "has extremely limited access to the country," and why "no American embassy is open to provide diplomatic cover," and why it makes perfect, rational sense that "Iran’s intelligence services have spent nearly four decades trying to counter American espionage and covert operations." Whitewashing the CIA's destructive history of intervention in Iran makes the New York Times report on D'Andrea little more than a rewrite of a White House press release, albeit one with a better grasp on grammar and vocabulary.